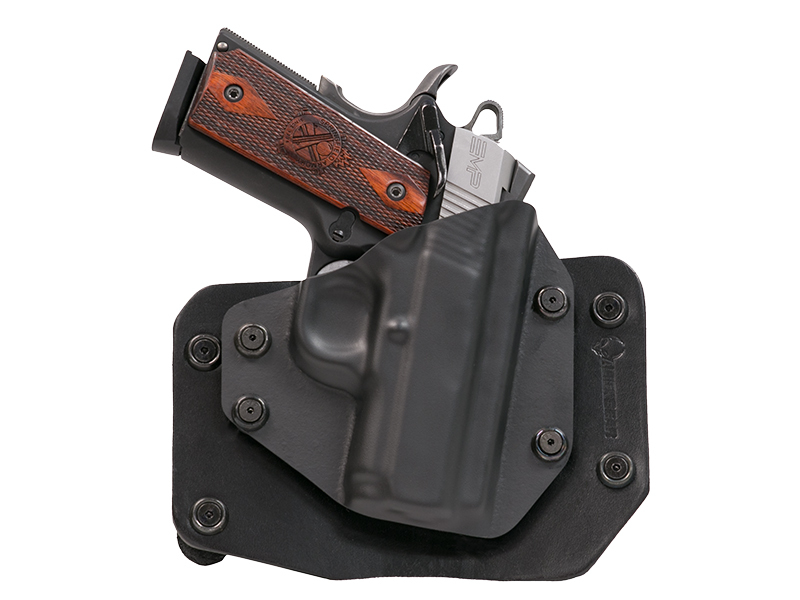 Looking for a high quality, high value Colt 1911 New Agent concealed carry holster? 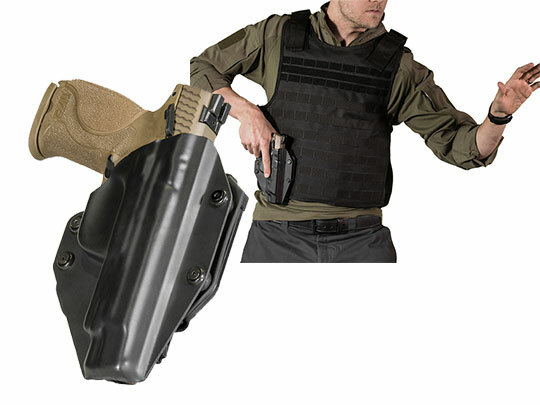 You’ve come to the right place because Alien Gear Holsters has just what you are looking for. There are many reasons to choose us, but let’s start with selection. We have a large selection of inside the waistband and outside the waistband models to choose from. 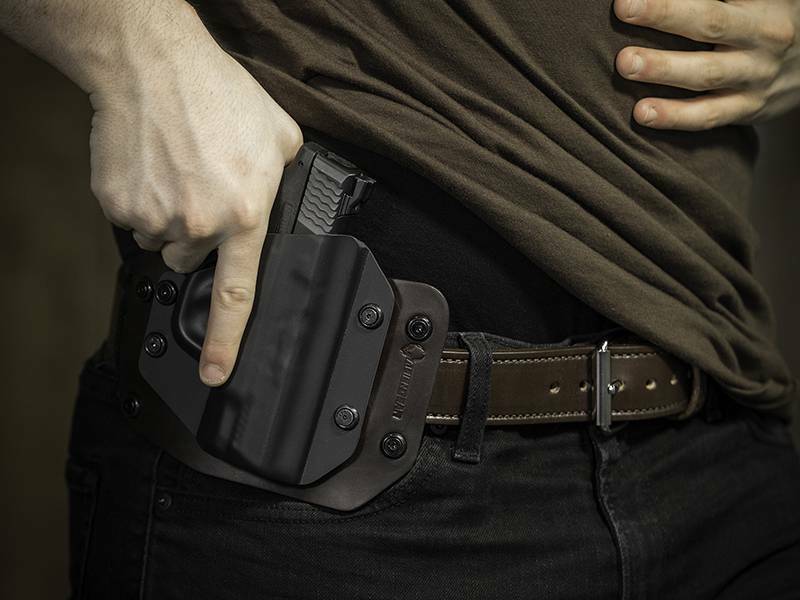 Your New Agent is a perfect candidate for IWB concealed carry holsters and open carry options due to its size and weight characteristics. 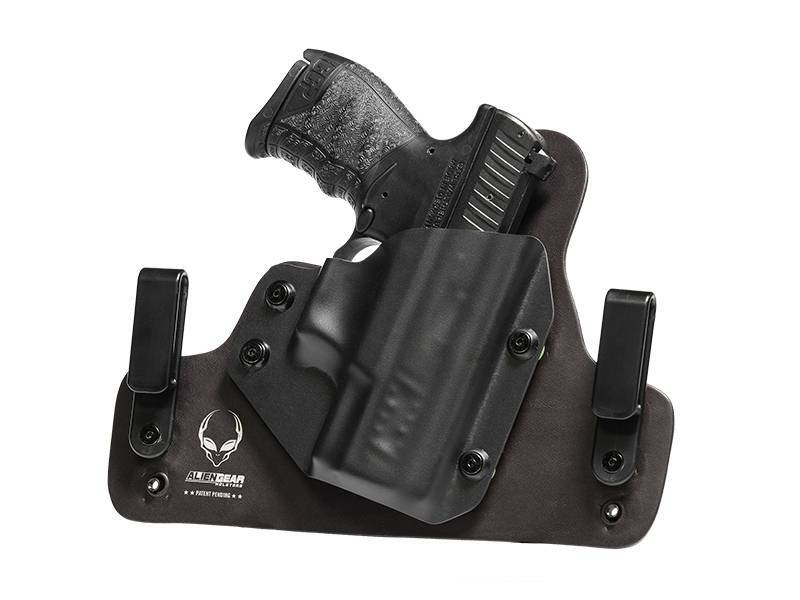 Alien Gear has two great New Agent IWB holster models. If you really like the classic style for your IWB, our original Cloak Tuck meets all the requirements. 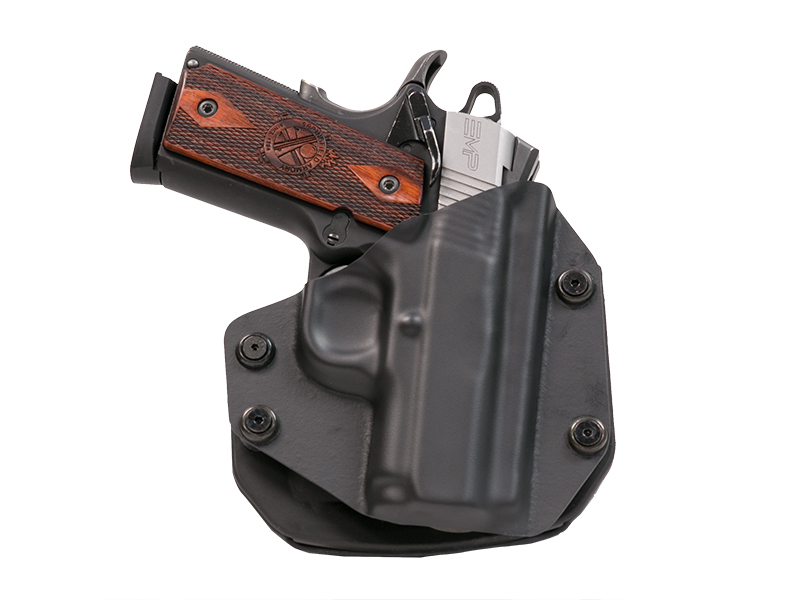 Adjustable clips and our custom holster shells that are common in all of our other models, blend perfectly with this classic leather holster that specializes in comfort and durability. 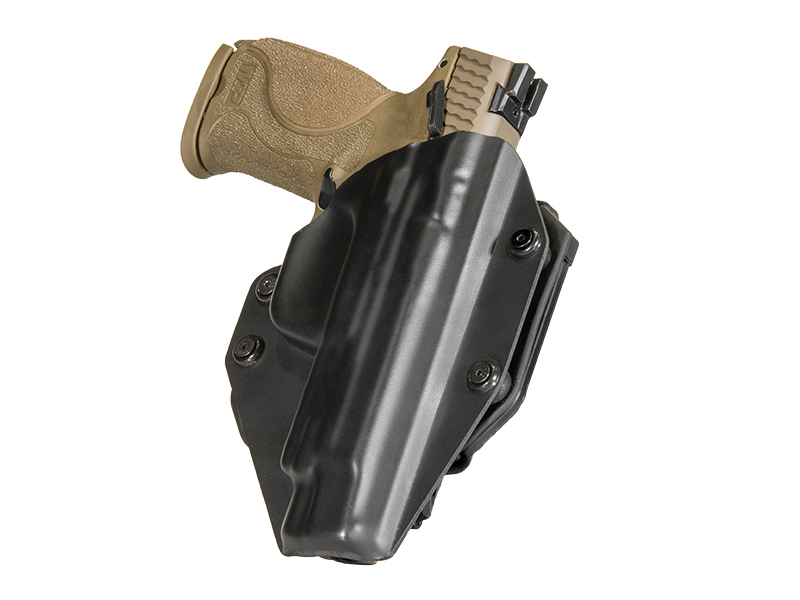 The Cloak Tuck 3.0 IWB holster is the most popular and top selling model for the Colt 1911 New Agent that we offer. 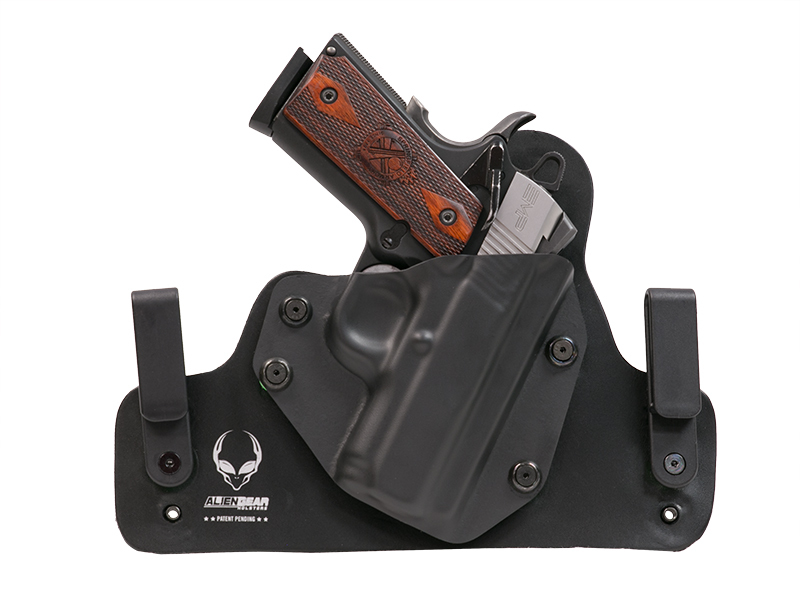 This holster has our proprietary Alien Skin on the front. This prevents slippage and effectively guards against abrasion from your firearm. The core of the 3.0 consists of layers of spring steel and tactical nylon. 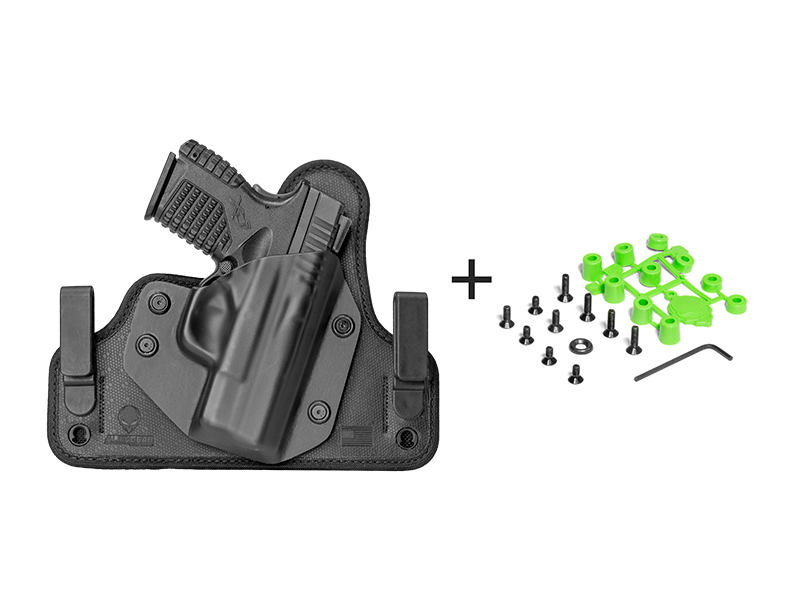 Combined, these components make this holster stronger and more supple providing super strength and the most comfort of any IWB model. The neoprene holster backer is designed to keep you and your New Agent dry, even in wet conditions. You will also have peace of mind knowing our Cloak Tuck holsters conceal without the trademark printing of other concealed carry holsters. 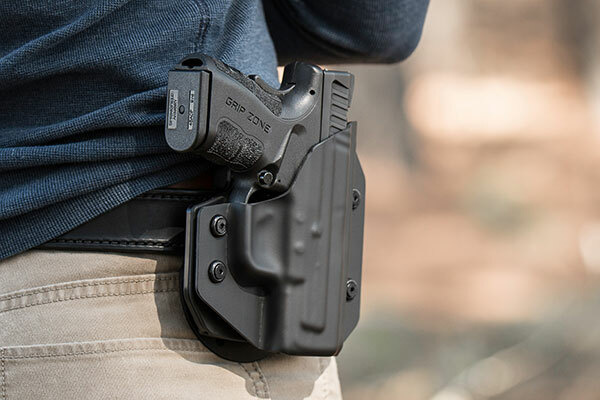 If open carry works best for you, we have holsters available for this application as well with our Colt New Agent OWB holster models. You can select the Cloak Slide or Cloak Mod OWB holsters. The Cloak Mod paddle holster is one of our latest designs, featuring a molded nylon paddle for security and spring steel flex plate for greater retention. Alien Gear holster shells and clips offer adjustability for ride height and cant angle to suit your individual preference and feel, and are interchangeable with any of our other models. We are proud to say that all of our products are made right here in the U.S.A., and come with our Iron-Clad Triple Guarantee including our Forever Warranty and Free Shell Trade along with a 30 Day Test Drive. There is no better Colt 1911 New Agent 3 Inch Holster anywhere that can deliver the quality and value that Alien Gear Holsters do. We are simply the best.